Singapore – December 11, 2018 – To better understand the current state of the object storage market in the Asia Pacific region, Hitachi Vantara, a wholly owned subsidiary of Hitachi, Ltd. (TSE: 6501), has partnered with global research firm IDC to survey close to 4,000 IT professionals and executives in the region. 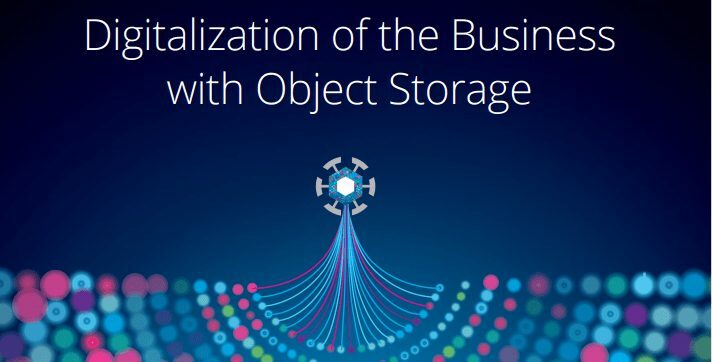 A recently published white paper entitled, “Digitalization of the Business with Object Storage,” highlights the key findings from this regional survey. The IDC survey reveals low awareness of object storage among enterprises in the region, with 41% of surveyed enterprises not aware of the technology. On average, enterprises in APAC store their data for five to seven years, with one-fifth choosing to store it for over 15 years. In Singapore, 40% of businesses plan to store their data for 5-7 years, while 15% of businesses plan to store their data forever, suggesting further pressure to manage and govern tremendous amounts of data created and accumulated over time. Historically, object storage has been used as a data archive tier due to its scale and compliance features. The survey revealed that 67% and 64% of respondents indicated that they are using object storage to aggregate and store big data repositories, and to optimize their backup and recovery capabilities respectively. Treating an object storage solution as a big data reservoir or scalable and centralized data hub enables analytics-based applications to blend structured and unstructured data together for business intelligence and visualization workloads. The custom metadata that object storage solutions attach to files as a form of detailed enrichment gives unstructured data more context and makes it easier to search. Aggregating unstructured and structured data together improves the enterprise’s ability to gain more relevant insights from a more complete set of data. Despite the wide range of benefits object-based storage offers, the IDC survey reveals low awareness among enterprises in the Asia Pacific region, with 41% of surveyed enterprises not aware of the object storage technology. Among the countries surveyed, Singapore sees the lowest awareness at 52%. As reflected in the results, enterprises who choose to test or adopt object storage are more likely to realize the benefits of the technology in their specific business requirements and use-cases. For more details on the cost benefits of object storage, the IDC white paperreviews three case studies of customers who achieved cost savings from 30% to 70% when using object storage solutions. Hitachi Content Platform (HCP) to address the new challenges in storing digital information with centralized and cost-effective management and governance features for multistructured data, minimizing the risk of data loss, and making data easier to access with object storage concepts. HCP Anywhere to address the demands of the end-user with collaboration, file synchronization, files sharing, and file protection without compromising the requirements of the business. To learn more, please refer to the IDC white paper “Digitalization of the Business with Object Storage”. The data in this report is derived from a 2018 IDC survey of executives from large enterprises who identified themselves as responsible for, or familiar with, the IT investments of their companies. IDC ran a short screener survey of almost 4,000 respondents to assess their familiarity with object-based storage. From these 4,000 respondents, IDC recruited 518 respondents to complete a more comprehensive user behavior survey. These 518 respondents are familiar with and have tested object-based storage for their organization although not all of them have deployed object-based storage. Respondents were based in Australia, China, Hong Kong, India and Singapore, and represented a range of industries. IDC also conducted interviews with senior executives from several clients of Hitachi Vantara who are current users of object-based storage to gather additional content on their decision to deploy object-based storage and the benefits and challenges they have experienced.